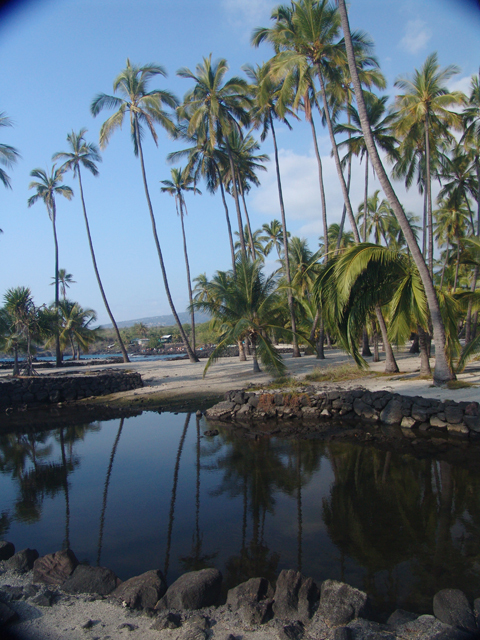 Now Kaloko-Honokohau National Historical Park in Kona is feelin’ the blues again. 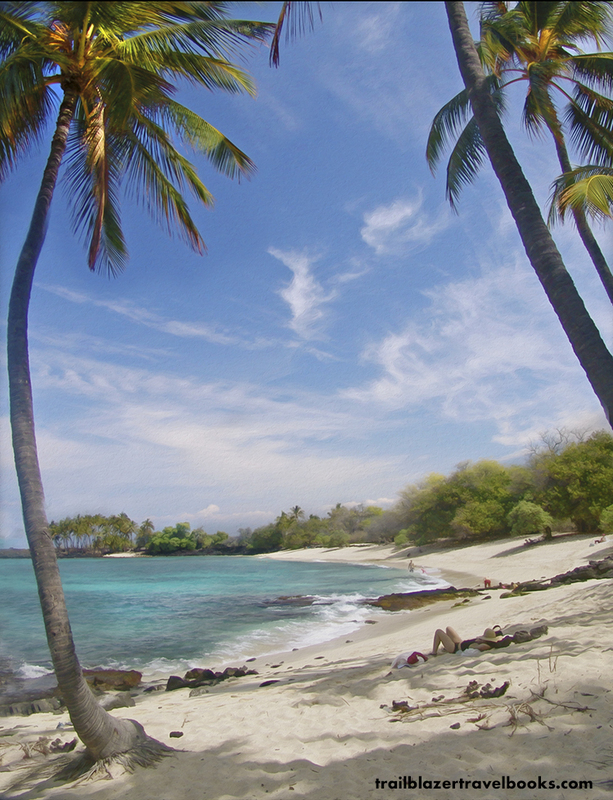 People 30 years old and younger on the Big Island had lived their lives seeing precious little haze-free sky—depending on the wind conditions. 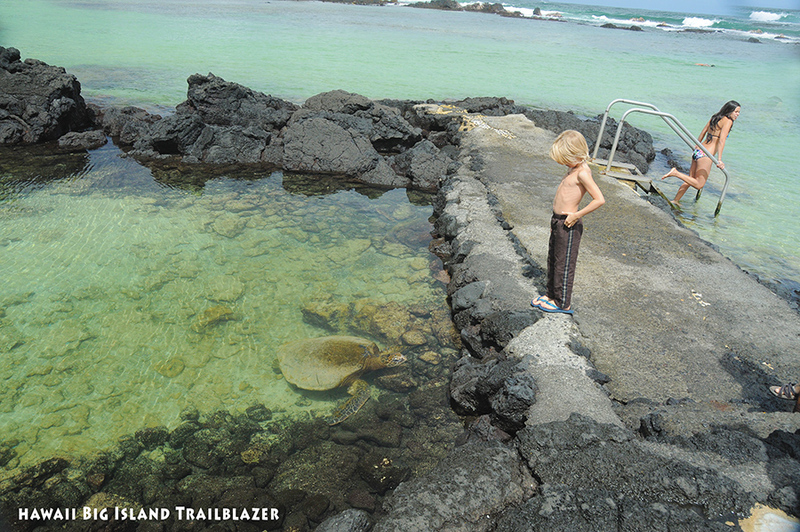 Today, these kids at Onekahakaha Beach Park in Hilo can sniff the clean stuff along with sea turtles. Improved air quality is a silver lining to the destruction that lava flows in 2018 brought to the Puna (east) Coast, where many miles of shoreline we buried in molten lava and hundreds of people were displaced and homes destroyed. 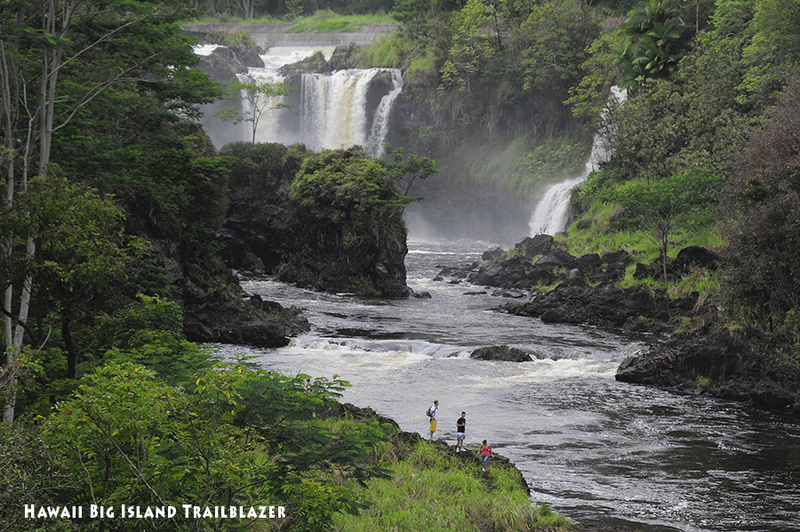 The most lethal force currently on the loose on-island is Hilo’s Wailuku (‘destructive waters’) River, which comes down the saddle between Mauna Loa and Mauna Kea. 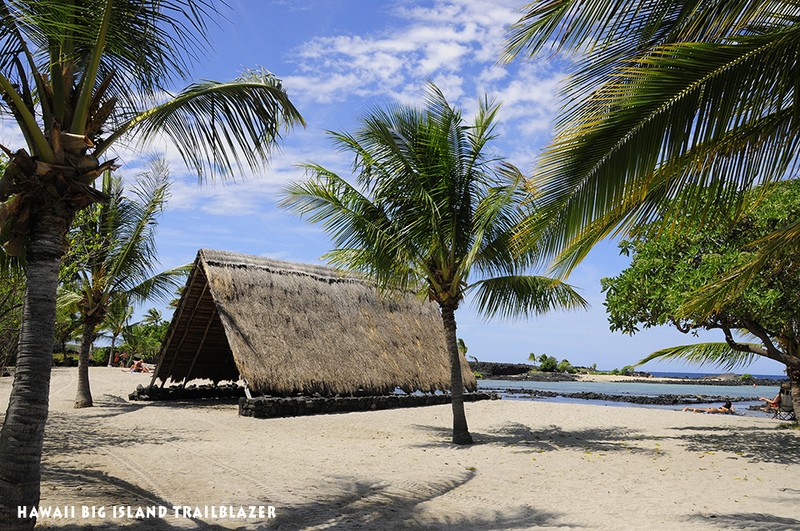 It’s time to kick back and enjoy untainted paradise on the Big Island. Until the volcano blows a cork again, which could be five minutes from now or years into the future. 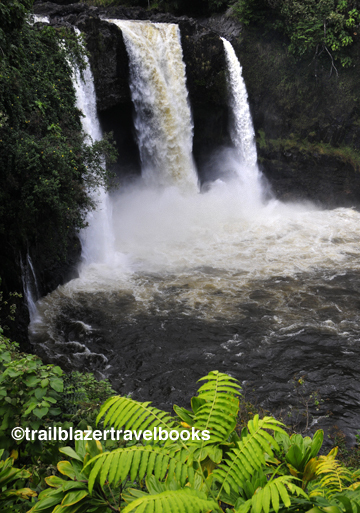 Hawaii the Big Island Trailblazer is your ticket to explore the island’s wild blue yonder. 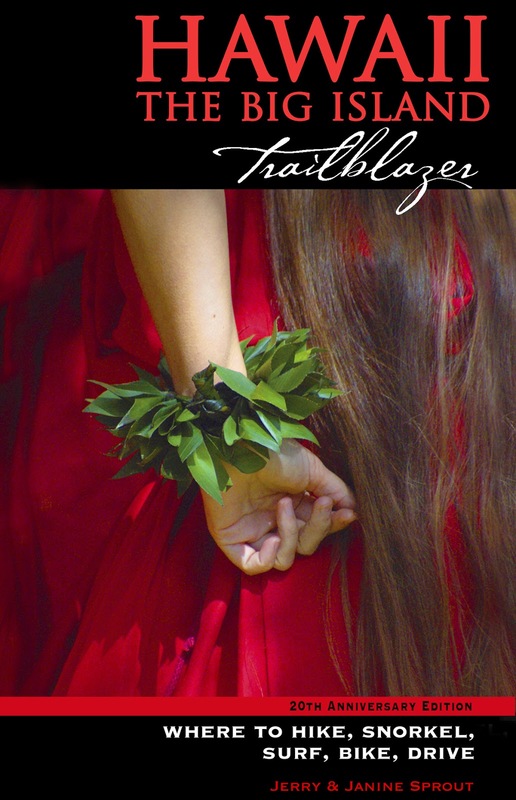 ← Trailblazer’s Hawaii Guides: Adventure in your Pocket. Memories in the Bank.